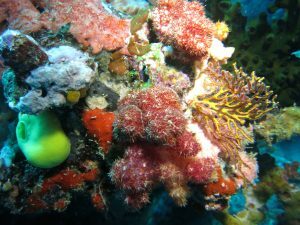 Fiji has some of the best dive sites on the planet, and we plan to enjoy many in the months we are here. 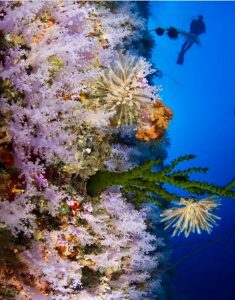 Some, such as the Great White Wall and Rainbow Reef off Taveuni, are world famous. 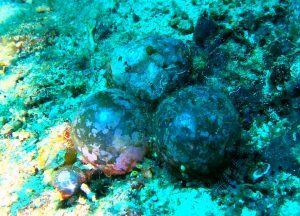 Others, like the undersea beauty we discovered right off the boat when we anchored on the Great Sea Reef north of Vanua Levu, are unmarked, secret treasures. 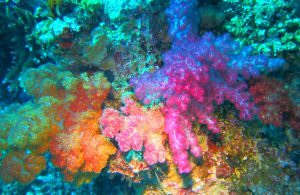 Wherever you are diving or snorkeling in Fiji, expect to see luscious, soft corals unlike any we’ve seen acros the whole Pacific Ocean. Fiji is famous for them. 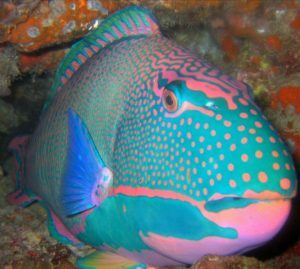 The colorful “rainbow reef” in the Somosomo Strait north of Taveuni is where we have seen the best. 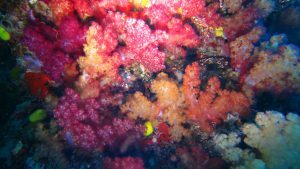 Color is one of the best features of coral, and it’s extraordinary how much more color you see (and can pick up in an underwater photograph) if you shine a light on it. This applies to fish too. After using flashlights, or “torches”as they’re called here, on a night dive, we got comfortable diving with our sturdy underwater lights, and decided to take them to the rainbow reef. So glad we did! What a difference they made. Although Taveuni is called the “Garden Island” because of its lush rainforest, tropical flowers and waterfalls, the name applies equally well to the remarkable and vibrant scenes beneath its waters. One of the most famous dive spots in the Rainbow Reef area is the Great White Wall. It gets its name from the soft coral when the currents are going the right direction, bringing it nutrients it opens up to feed on. 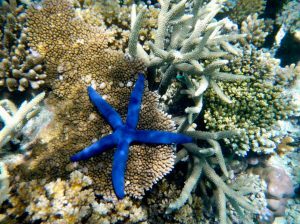 In this state, the coral looks like a crystalline, bluish-white garden in bloom. The Great White Wall is an advanced dive because to get to its beauty, you must dive down to at least 30 meters (90 feet) and be able to maintain stable buoyancy against the waves that surge against the reef, taking you up and down 30 feet with each swell, and the power of the fast-moving current. To see the bloom in all it’s glory, you must dive when the current is running. Not only that, to reach the White Wall, you have to descend through a tunnel-like cave 45-60 feet down from one side of the coral wall to the other. 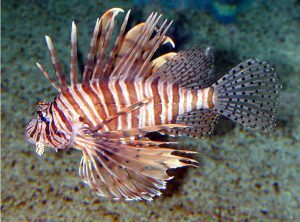 And on top of that, we saw many lion fish lurking in the shadows of the tunnel extending their venomous barbs dangerously close. There are several top-notch dive operators that will take you to the Somosomo Strait dive sites. It’s not recommended to try and dive the Rainbow Reef on your own. Local fishermen removed the buoys so there is nowhere to moor or anchor the dive boat. The waves and current can be treacherous in the Somosomo strait where much wider bodies of water (the Koro Sea to the west and the vast Pacific to the east) are forced through a narrow passage. And the dives along these walls and reefs are technical, deep and challenging. 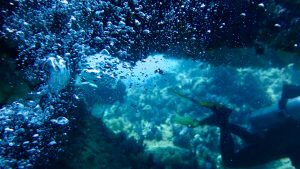 When you emerge from the tunnel that cuts through the reef leading down to the Great White Wall, it’s like being spat out into a rushing river. The current immediately grabs you and the dive quickly becomes a drift dive along the wall. The hard and soft corals are reaching outward. 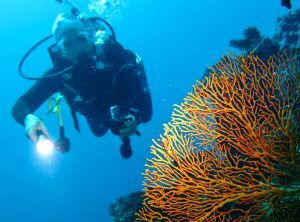 You’ll see colorful crinoids and vibrant gorgonian sea fans and lots of fish feeding. You want to be close, but not bounce against them and risk damaging them. The wall takes good buoyancy and diving skills. 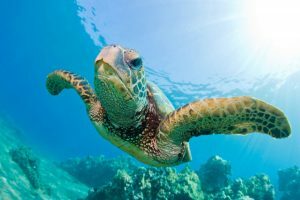 We chose to dive with the excellent PADI dive outfit, Paradise Taveuni, and were lucky enough to dive with Allan Gortan, its master diver and the owner – along with his wife Terri – of the 5-star Paradise Taveuni resort. The elegant resort is beautiful and very well managed by Sheryl, a yachtie herself. We were allowed to moor Golden Glow on Paradise’s moorings (that are fine except in northerly winds). They let us dine at their restaurant, swim in their pool, and enjoy their beautiful grounds and organic gardens. 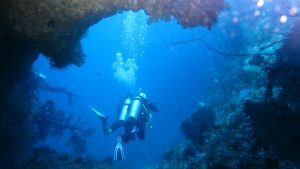 Great White Wall, Deep Scuba Dive, Rainbow Reef, Taveuni, Vanua Levu, Somosomo Strait, Fiji from sv Golden Glow on Vimeo. 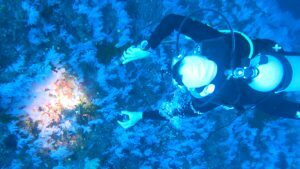 Diving the Great White Wall, Rainbow Reef, Taveuni, Vanua Levu, Somosomo Strait, Fiji from sv Golden Glow on Vimeo. 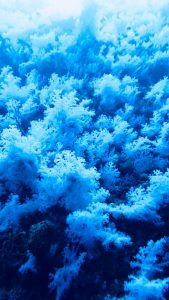 Diving the Great White Wall of blooming soft coral at Rainbow Reef, Fiji from sv Golden Glow on Vimeo. Thanks for sharing a great article! Coral reefs are suffering all over the world and it is good to know that Fiji still has some beautiful coral.